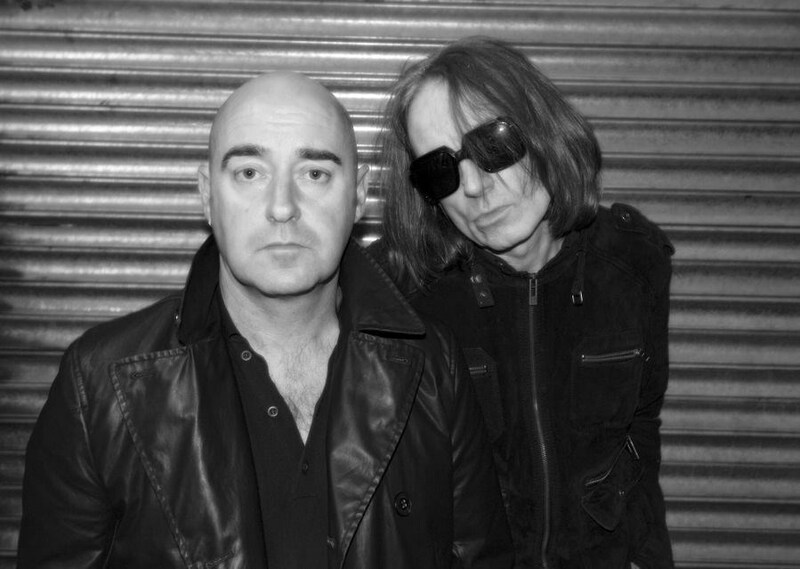 Ex Oasis rhythm guitarist Bonehead aka Paul Arthurs returns to recording and performing in new band collaboration with Manchester alt pop troubadour Vinny Peculiar. 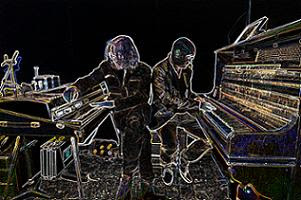 'Parlour Flames' have recorded a debut album due end of 2012 and are set to tour both as an acoustic duo and full band. European and UK dates are currently being booked. 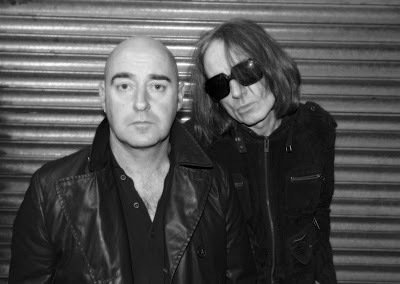 Bonehead has toured with a few bands since leaving Oasis but this is the first time he is planning on releasing, not only a single, but an album. "This is the first time in a while its felt totally right what I'm doing and the music sounds fantastic. Vinny is such a talented singer songwriter and together we have come up with something we can both be truly proud of"
"The album took a while to come to fruition. Core vocals, guitar, piano, bass and keyboard parts were played by ourselves with guest performances from 'Bob the Brass' on trumpet/fugal horn, Semay Woo on cello's and Anna Zweck [Samson& Delilah] on flute & b/vs all significantly adding to the cinematic feel of the songs. The drums were played by Chorlton beat-poet in residence Che Beresford [Badly Drawn Boy]. We are really pleased with the results"
Vinny Peculiar christened 'Tony Hancock of Pop' by UNCUT MAGAZINE continues to release albums of outsider pop music to great critical acclaim. Notable collaborations include the Soupline with Bill Drummond (KLF) - , video installations with Tom Robinson (BBC 6Music) and his various bands have included ex members of the Smiths, Aztec Camera and the Fall.